"We’re happy that we can come again to play at the OEF 2017, and to show our true face. I’d like to apologize our all fans for my indisposition during performance at OEF 2016 caused personal-health problems. We promise to come back twice as strong! Thanx to everybody who believe in us." We could slightly alter last year's band info and nobody would probably know but in this case it is not appropriate. 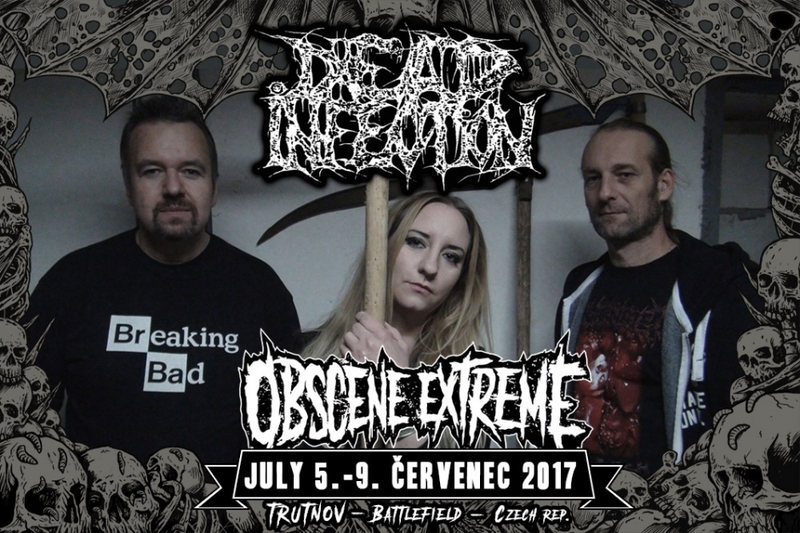 So, dear gore/grind maniacs and fans of the Obscene Extreme Festival be informed that Dead Infection are one of the first confirmed bands for 2017! After this year's collapse of the drummer this gore/grind legend from Poland will be 100% ready to cut everything within several tens of meters from the stage at Trutnov Battlefield to pieces! DEAD INFECTION at OEF 2017!! !